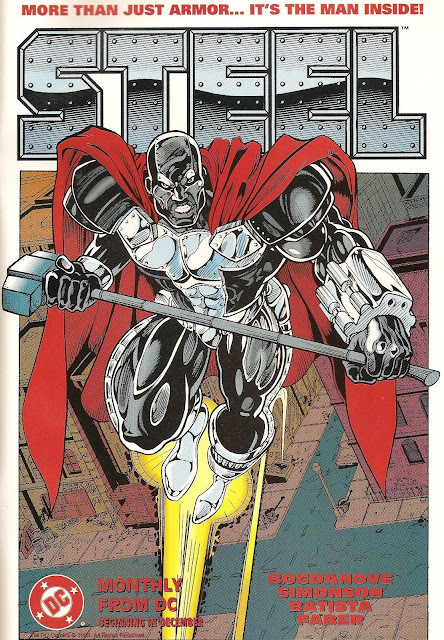 I've read some of the early Steel series from DC written by Louise Simonson (Simonson and John Bogdanove created Steel in the mainline Superman books for the Death and Return of Superman storylines) and a surprising amount of at least tone and concept is taken from the comics. John Henry Irons is a guy who was developing weapons, found AmerTek was using them for nefarious purposes and not National defense. He quit and was working construction when Superman saved him from an accident, and challenged him to use his life for good. In the wake of Superman's death at the hands of Doomsday, he made a suit of armor and became Steel. In the movie, it's unclear if Superman exists in their universe or not - people know who he is, but whether they mean a fictional Superman or some guy in Metropolis isn't made explicit. They did keep trying to make a Superman movie at this point, so who knows? But this John Henry is a military engineer (not a contractor) who is teamed with Annabeth Gish and Judd Nelson. Nelson causes and accident while trying to impress a Senator, injuring Gish and putting her in a chair, while Shaq realizes what he's made and drops out, moving back to LA. Like the comics, he basically moves back in with his supporting cast (cough), I mean, family - his Grandma and nephew (niece Natasha Irons in the comics). I am 7 minutes into the 1997 Shaq-starring "Steel" and they've already used that one Mexican church set that Hollywood uses for everything, and set Judd Nelson up as the mustache-twirliest villain to ever cross the screen. and then the whole thread that follows, I guess. He's barely back when he finds his weapons are being used by local toughs to commit crimes - Judd Nelson has gone private and is showing off the weapons in big crimes to sell them to the highest bidder. It's a whole thing. Anyway, Shaq literally kidnaps Annabeth Gish out of the VA (while wounded vets cheer him on like this is Officer and a Gentleman) and takes her to a junkyard he's fixed up real nice-like for her to live in. Yeah... this part definitely has a whole vibe that feels way more like it'll end as an episode of a news magazine show that they intended. But, now out in the LA sunshine making armor and gadgets, she's happy as a clam. One day, I want to find a list of every single movie and TV show that's used that Mexican church set from Arrested Development. I've seen it on the Terminator TV show, Westworld, and recently as a Korean church on Timeless! It seems like its on TV in something almost every other month, and I get weirdly excited when I see it. "why don't they build 2 or 4 of them?" I say to myself. "I can't be the only person who noticed this..."
It's unclear if Annabeth Gish and Steel are supposed to have a romantic relationship. It sure *feels* like it, but it could also just be buddies? I NEED TO KNOW IF THEY'RE DOING IT. Poor Shaq, who is a mutant, stands 7'1". He's not much of an actor, but he's not as bad as he might have been. Someone told him "speak clearly, smile a lot, and don't move too much" and so he doesn't. But every shot is a struggle to frame as Shaq has to walk around and talk to people and the camera struggles to find the right way to do it (they fail). But, look, this is a movie more in the vein of, like, 1990's Teenage Mutant Ninja Turtles than 2000's X-Men. It's a kids movie that was there to make some money off Shaq-mania, which was never quite the thing everyone thought it would be. It's a reminder of how simple superhero movies could be and often were during this window, before superhero movies were suddenly a thing. I mean, compare this to Spider-Man from 2002, and it doesn't feel like 5 years, it feels like 15-20 years separate the movies. And for as bad as the acting, as hokey and cheap as the largely *practical* FX, as goofy as the armor... as a story, it understands that a superhero is doing it for a larger purpose, and John Henry Iron's first act of heroism is walking away from lethal weapons when his conscience could no longer allow him to continue. And while there's a personal stake in the AmerTek weapons getting off the street, there's also a hero-debut sequence that will remind folks that Richard Donner's Superman showed up and just did good deeds, he didn't go in pursuit of revenge or to fix a specific issue he'd created. They do that here, too. 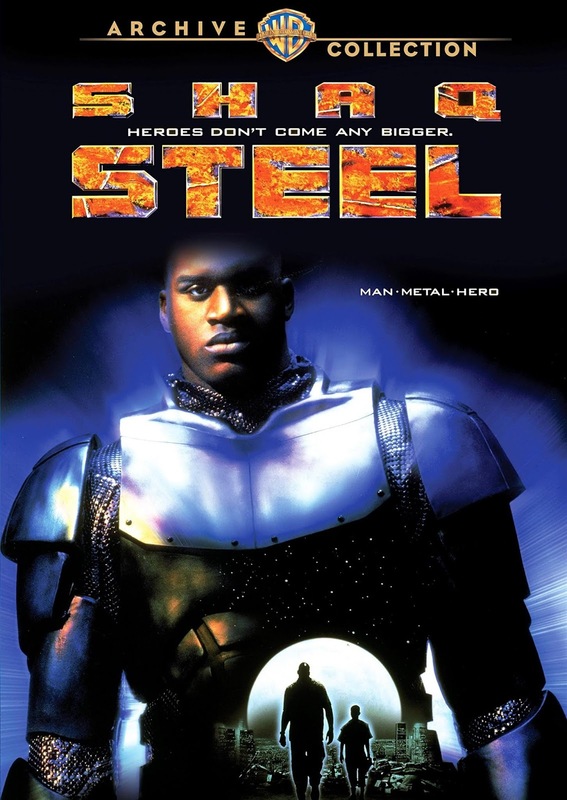 And the suggestion is that once the AmerTek stuff wraps at the end of the movie, Steel is going to continue his street-level heroism. And because it's tight, the movie just zips along in a pretty straight line - no 2.5 hour bloat of scenes that feel added on. The myth building doesn't require multiple side adventures and a CGI final fight sequence that takes 45 minutes. AND, the villain is defeated via his own worst tendencies rather than via the hero's taste for violence, which... you know, that's a nice, tight narrative loop. All that to say: this is still not a great movie, or even a good movie. It's a movie where Judd Nelson looks like he's doing an SNL sketch, our star is Shaq and for some reason they cast Annabeth Gish, who had won awards and stuff prior to this. It's light, forgettable fun, but it also feels basically one step up from a made-for-TV movie of the era. If this aired back-to-back as a pilot for a TV show after Xena, we all would have said "yes, that makes sense". The thing is, despite the fact I don't love this movie, and I know the character is a wee bit lazy when it comes to concept, I come at Steel from the "Uncle John" era when Natasha was revealed to be a super-genius whiz just like her uncle, and he was palling around with Superman at The Iron Works in Metropolis. That was just a rock solid bit of supporting character business in Superman: The Man of Steel back in the day. I loved that title. I'd love to see the movies or a CW show at the point where you have John Henry and Natasha running around as super-engineers in the City of Tomorrow. 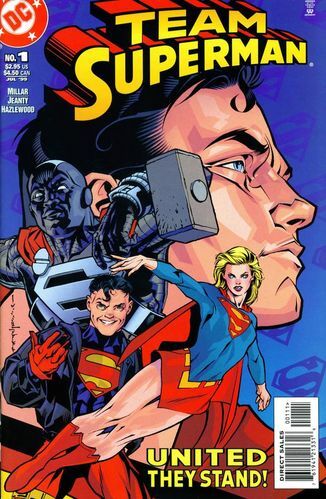 I'd love to see the guy with the crazy armor and the cape taking to the skies with hammer in hand as solo or supporting character (but as a bonafide fan of Team Superman concepts, I'd like to see a Team Superman concept in the comics again, too). So, yeah, Shaq lumbering around in what looks like a metal diaper and rubber mask is... well, it's not 100% the John Henry Irons movie I want. But, you know, sometimes you need to see what you do not want to sharpen what you would like to see.